Carol Spindler O’Hara – Managing Shareholder of North Bay Offices & Shareholder in Charge of North Bay Assurance Services Practice, Burr Pilger Mayer, Inc.
Carol Spindler O’Hara is a leader in many ways. She currently is the Managing Shareholder of North Bay Offices and the Shareholder in Charge of North Bay Assurance Services Practice at Burr Pilger Mayer, Inc. Through her work at Burr Pilger Mayer, Inc. she has contributed to the economic vitality of Sonoma County by providing visionary, proactive services to local and developing businesses. Prior to her existing position, O’Hara worked at KPMG for 18 years. O’Hara graduated from Pennsylvania State University with her Bachelor’s of Science in Accounting. She received highest honors. During her 18 years at KPMG, she was a partner for 7 years. She also worked in both KPMG’s San Francisco and London locations. While in London, she served an array of international clients. While at KPMG, O’Hara was responsible for providing services to the fourth largest U.S. bank. O’Hara’s many years as an accountant has led to experience in many areas including audit, general accounting, and financial reporting services. She has worked with both publicly-traded and privately-held companies. 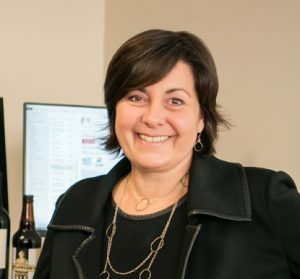 Her experience in industries varies widely and includes financial services, winery and vineyard land, hospitality, manufacturing, health care, real estate, and nonprofit. O’Hara is very active in various business, professional, and community organizations in the North Bay. She currently serves on the Executive Committee and Board of Directors of the North Bay Leadership Council, on the Executive Committee and Board of Directors of the Santa Rosa Symphony, and as a member of the Sonoma County Alliance. She is heavily involved with the Summerfield Waldorf School and Farm in Santa Rosa where she actively volunteers and served on the Board of Directors. She is a graduate of Leadership San Francisco, which focuses on developing future community leaders who will have the ability to contribute significantly to the strength and transformation of the community. She is a member of both the American Institute of Certified Public Accountants (AICPA) and the California Society of CPAs (CalCPA). O’Hara’s dedication to Sonoma County’s growth and development was recognized with the Spirit of Sonoma Award in 2013 and the North Bay Business Journal Women in Business Award in 2011. O’Hara’s efforts to better the North Bay are clear in everything she does.